Happy Friday! B and I are off today and we are looking forward to a four-day weekend! He and I are heading to Atlanta for my final doctor’s appointment this morning, so we won’t exactly be doing anything exciting, but once my appointment is over we will be footloose and fancy free for four whole days! I’m so excited I might explode! I pretty much always stick to Hobby Lobby for all things holiday décor. If I’m ever in need of something that Hobby Lobby doesn’t have then I might check Michaels, TJ Maxx, or Marshall’s, but I have never really shopped much at Target for fall or Christmas décor items. Well, I stopped in there yesterday on my lunch break to grab a birthday gift for a friend and I had a few extra minutes, so I headed over to the fall and Halloween section to have a quick look. 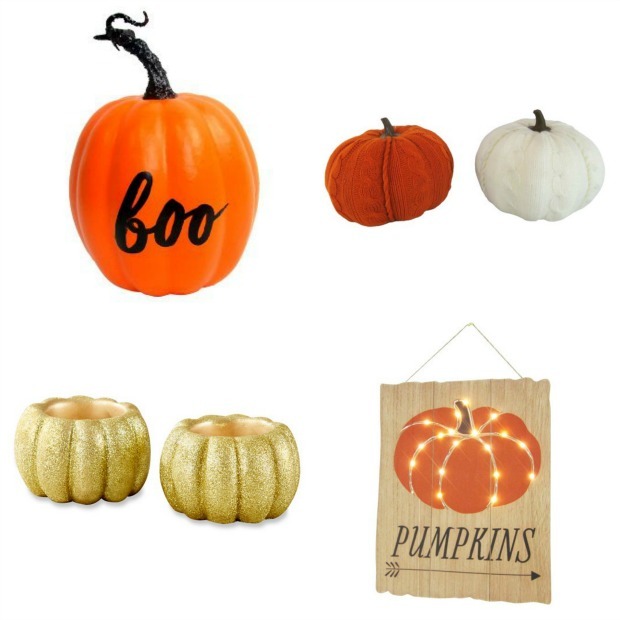 You guys, they have the best stuff to decorate for fall! I collect pumpkins (you’ll see this in my upcoming fall home tour post) and these little sweater pumpkins about did me in! How cute and unique! I went online a little bit later to see what else they had and their selection was pretty extensive. Who knew? I guess I should have known, because well, TARGET. T W O – PSL is Back? Quick question for all of your Starbucks connoisseurs – does anybody know if you can get a PSL “skinny?” And is it actually good? The Starbucks website doesn’t mention a skinny version anywhere, but I would love to try it if they do. Have you seen the new trend for fall? Statement sleeves are in and I’m really excited about it. I love a good, dramatic sleeve – bell sleeves, pleated sleeves, flared sleeves, tiered sleeves, you name it. I have seen them popping up everywhere and even Old Navy and Target are already jumping on board. I mentioned about a month ago that I bought this top when it was on major sale, and I’m really excited that the weather should be cool enough to wear it soon. If you’re interested in trying the trend but you don’t want to spend an arm and a leg on something that will go out of style quickly, I found this sweater, this poplin top, and this dress, and all are under $27. If you plan on hosting a party for any occasion, you might want to check out my handy dandy checklist of things to do before the guests arrive. These are all of the things that I do to get our house ready before we have company over to make our house warm and inviting. Finally, my friend Heather who blogs at My Glittery Heart has an Etsy shop and she is currently working to reach 1,000 followers on Instagram. Once she does, she is going to host a great giveaway! I love Heather because she’s down to earth, she’s very talented, and she and I have an extra special bond because we are both Georgia girls… we love our Georgia Bulldogs! Anyway, you’re probably wondering what she sells in her Etsy shop? 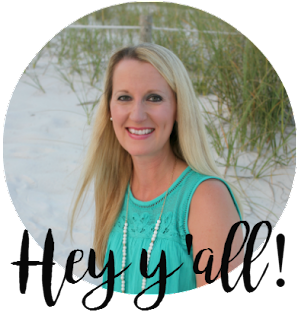 Well, she sells the cutest glittery wine glasses, tumblers, and mugs as well as several other items. 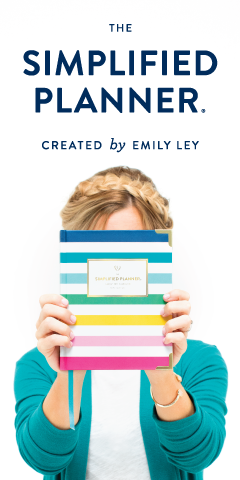 All of her ideas are clever and cute, and they make perfect gifts for friends, family, and teachers. 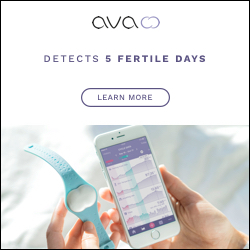 Christmas is coming, y’all, and it’s never too early to start shopping! And don’t forget to follow her on Instagram so she can meet her goal! Good luck, Heather! Happy Friday, happy September, happy long weekend, happy first college football weekend, and HAPPY UNOFFICIAL START OF FALL, Y’ALL! GO DAWGS!!!! Hope you get to enjoy a PSL this morning!!! Love that glittery wine glass - super, super cute! Have a great weekend! Thank you SO much for the LOVE this morning!! you are so sweet! That means so much to me! You can get it made nonfat no whip but I'm pretty sure they don't have a sugar free syrup! That's how I always get mine made and I feel much better about drinking it. You need to let me know if the rumor is true because if it is, I'm heading to Starbucks after school haha! Good luck today! Oh girl, I'm gonna get my PSL on this morning too!! Yep, skim milk, no whip but no sugar free there but if you want to make one at home, Home Goods has sugar free pumpkin syrup. Good luck at your appointment. You are going to have the BEST long weekend, I just know it!! Thanks, girl! I'll start ordering mine with skim milk and no whip! Hope you're drinking that PSL right now! Have a great four-day weekend! Ooo hope you're enjoying your PSL!! Love the dramatic sleeves too! My OTS top has dramatic sleeves, holy crap... I am on trend with something, lololol! Hope that PSL is in your hand girl. I am sure I could hop on IG and find out! I'm also super excited about pumpkin everything. Hoping to hit up Starbucks today for my 1st PSL of the season. Have a great holiday weekend! Thank you, April! And thank you for stopping by! I was wondering the same thing about a skinny version of a PSL. I think it's doubtful because you actually need like sugar syrup but man I wish they'd do it! You can get it with Soy or Non-Fat milk...that helps! Yes! Thank you! I'm going to start ordering mine with skim milk and no whip! Enjoy your ATL weekend!! Target has awesome holiday decor but I try to wait until the holiday is over to snag stuff on sale. I find great stuff at Michael's and also Dollar Tree! 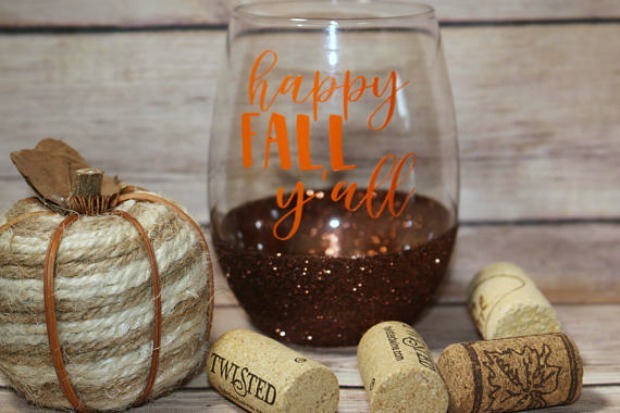 Oh I love that pretty Fall wine glass. I can't wait to decorate for Fall this weekend! Have a great weekend. Hope your appointment goes well. I love those tops, from Old Navy right? That's my go to for all things Fall; I love their clothing! I hope you got a PSL this morning! I thought about going...but decided to skip the long lines, since it wasn't available on the app. Gotta go check out that adorable Etsy shop! Hope y'all have a good, long weekend! Did they have PSLs? I didn't see them on the app or on the store board because I did go there today! lol! 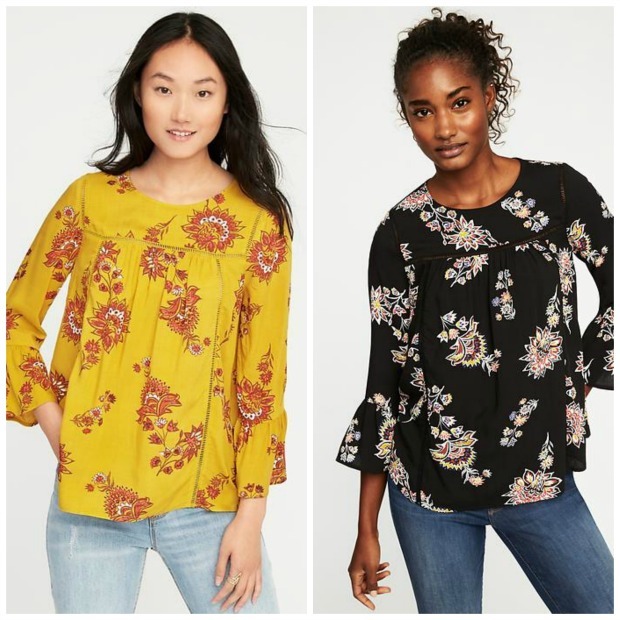 I like the tops that are 3/4 sleeve length and end with a bell type sleeve, I want to find one of those for me. I got a few of the little pumpkins for target! I have to decorate still but they'll be in my $10 at Target post! Love those tops! I tried a dress from ON with the bell sleeves, and I adored the print and sleeves, but the actual dress was a potato sack. Darn! Enjoy your long weekend! I recently got a lot of cute items from the Target Dollar Spot for Fall! They always have great decor! Yes they do! What did we ever do without the Target Dollar Spot?! I was never a fall person, but I seem to have become one over the past few years! All of those pumpkin decorations are so cute! I better stay away from Target haha! Yes you should!! So many cute things for fall!